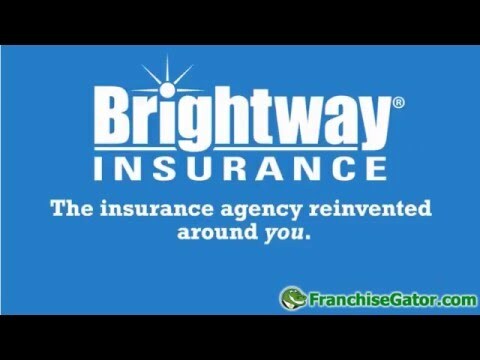 Brightway is the only leading independent agency franchise system designed to help you reach your potential. As a result, today we are the seventh largest privately held Personal Lines agency in the country. We are a true business partner. Only Brightway gives you comprehensive support you can leverage to grow as fast as possible. Onboarding: As a new Agency Owner, we work with you on financial modeling, building pro formas, and helping to understand payback on a variety of investments in your new business. We also provide specialized training that sets you up for success when your agency opens. Marketing: We provide you complete support to drive business to your door and we empower you to undertake your own campaigns using professionally designed and produced materials available only on our proprietary Marketing Resource Center. Sales support: As you build your business, our industry-veteran Agency Development Consultants help you with growth strategies that help you build—and achieve—your annual financial plans. Data Analytics: Provides robust management reporting to you so you have full visibility into how your agency is performing on its own and relative to your peers. Q: How easy is it to be successful with Brightway? 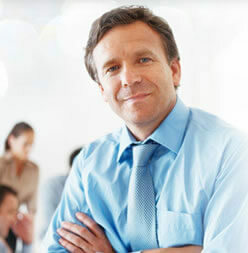 A: As a Brightway Agency Owner, you enjoy a comprehensive system of support that lets you focus on new business sales. Everything else—from Accounting to data analytics to Customer Service to Marketing and more—is handled for you by 250+ Home Office employees whose interests are in complete alignment with yours. We succeed only when you succeed. Q: Can you describe the training my team and I will receive? A: From the moment you sign your franchise agreement with Brightway, the Agency Development team stands ready to onboard your new franchise. The first step is a Welcome Call during which you’ll learn what to expect. From there, you will attend a Workshop during which you’ll meet with each department that supports you and your business. Finally, you and your Producers will attend Training during which you’ll sell your first policy before opening your Brightway Insurance store. Q: I’ve never heard of a franchise opportunity where the franchisor’s interests are aligned with a franchisee. How can it be? A: That’s simple: When David and Michael Miller came up with this concept, they knew it would be easier to ask Agency Owners to do things that were good for them and their families than asking them to do things that weren’t in their best interests. That’s the alignment the entire Brightway model is built on—we only do things that are good for our franchisees, good for customers and good for Brightway. And, as a franchisee, you will be aligned with your producers and staff, ensuring they are on a path to success that will help build upon your enterprise and their future in the insurance industry. This alignment means that, as an Agency Owner, you have 250+ Home Office staff working every day to ensure your success. Q: What am I getting for the franchise fee? A:The franchise fee, $60,000, is the amount you pay to join a proven system in which we have invested tens of millions of dollars over a decade. The fee enables you to open your first store and gives you the option to open a second store at no additional charge. The success of the system is unquestionable and well documented, and we continually invest in it and you throughout your career with Brightway. The franchise fee you pay helps to offset the initial investment of more than $95,000 in time and resources that we make in you. Q: Do I need an insurance background to be successful at Brightway? A: No. 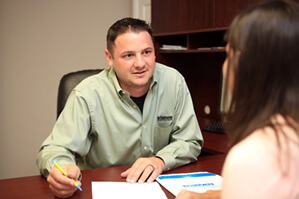 In fact, 40 percent of our most successful Agency Owners joined with no prior insurance experience. Q: What’s the adjective you’d use to describe my Brightway Agency Owner experience? A: Empowered. This system provides you with everything you need to run a high-powered sales team focused on selling new business and making a difference in your community. You are empowered to make your dreams come true and to make your employees’ dreams come true as you promote them through your agency and make your top-performing Producers managers of your second, third and fourth Brightway locations. You are also empowered to help your friends, family and those in your community enjoy the peace of mind that comes with knowing that everything they’ve worked hard to earn—and everything they ever will earn—is protected. 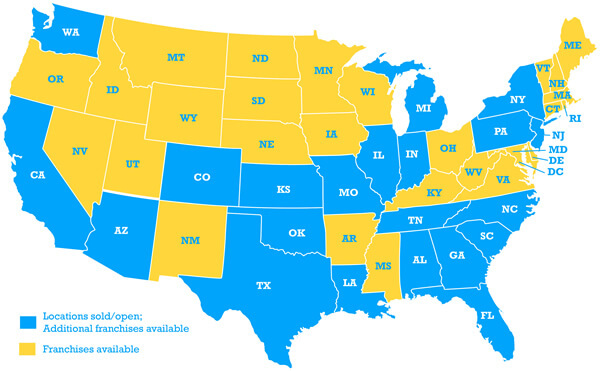 Brightway Insurance is currently accepting inquiries from the following states: West Virginia, Wisconsin, Virginia, Utah, Texas, Tennessee, Pennsylvania, Oregon, Oklahoma, Nevada, New Mexico, New Jersey, New Hampshire, North Carolina, Missouri, Minnesota, Michigan, Massachusetts, Kentucky, Kansas, Indiana, Illinois, Iowa, Georgia, Florida, Delaware, Washington, D.C., Connecticut, Colorado, California, Arizona, Alabama, Alaska.